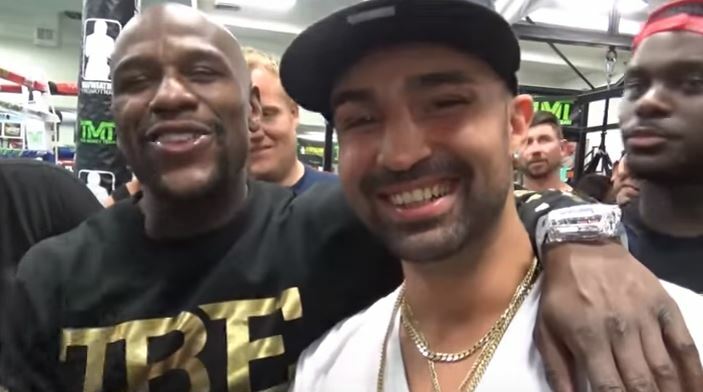 Floyd Mayweather has made the extreme claim he sent Paulie Malignaggi into the Conor McGregor camp as a sparring partner, in order to gain ‘inside knowledge’ of the Irishman’s training routine. 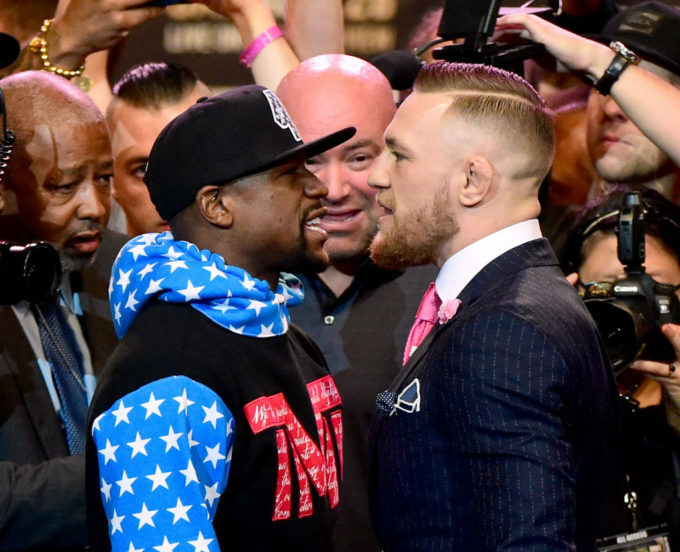 In a video clip, Mayweather, who will face McGregor in the highly-anticipated fight tomorrow night in Las Vegas, says he’s going to ‘talk about strategy’ with Malignaggi. Malignaggi was recruited as McGregor’s sparring partner, but left when photos of him surfaced where he apparently was knocked down by ‘The Notorious’. Paulie has always been my friend. Listen, this is going to stay in Paulie’s family forever, don’t worry, Paulie. Me and Paulie gonna stay at the house and talk about strategy – thank you for going over there like I asked you to do. Malignaggi doesn’t say much through the clip, he just repeats the word ‘suckers’ from time to time. Such is the level of self-belief that Mayweather is willing to put his money where his mouth is over the super fight, a cool $5 million. The madness levels are increasing day-by-day.